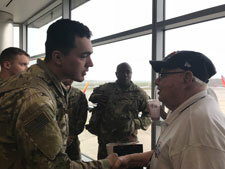 Welcome to Buffalo Niagara Honor Flight - Buffalo Niagara Honor Flight, Inc.
Buffalo Niagara Honor Flight serves 7 Counties of WNY, Potter, McKean and Warren Counties in PA also Southern Ontario, Canada. 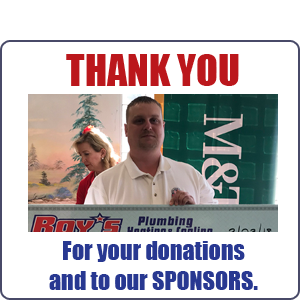 Priority is given to WWII, Korean War Veterans and Veterans with a catastrophic illness followed by Vietnam War Veterans and Veterans from other conflicts. Our plan to take ALL Veterans on future Missions! 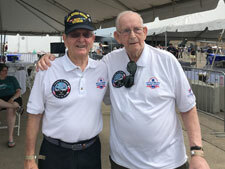 If you are a veteran and would like to take an honor flight, please complete the application. If you are a Guardian for a Veteran on a honor flight, please complete the application. 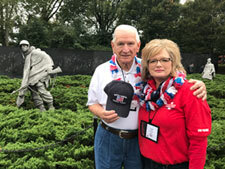 Interested in more information about the honor flight trips? Get answers to your questions.